So as those of you in the know, know. It has already happened and was stupendous!! 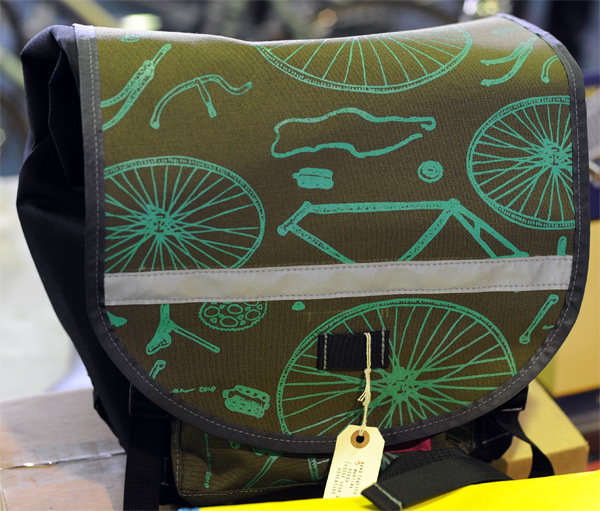 The fellow at: http://www.bikejuju.com/ took this great photo of our new collaboration with partybots (partybots.org), a sweet Pelican Portuer bag with a NIFTY silk screen. Check it out at our regular site: http://swiftindustries.wordpress.com/ as there will be other bags available soon, or you can just ask for them.